Following its strong stance taken against online trading in the global FX markets in India. The country’s central bank has issued a further notification aimed at banks, demanding the closure of individual’s bank accounts if they are found guilty of trading in FX, by transferring their funds in the $5.3 trillion a day asset class. 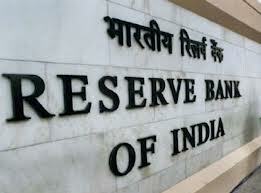 The move comes after the Reserve Bank of India (RBI) has been on the back foot, post rupee crisis. The central bank has been issuing more notifications over the last six months than ever before, as pressure builds up on the economy. According to the notification issued this week, banks are required to exhibit extra scrutiny in relation to foreign transactions. Once the bank comes across any prohibited transaction undertaken by their customer via the credit card or on-line banking, the bank will immediately close the card or account of the defaulting customer, the Reserve Bank said in a notification. If banks fail to observe the new rulings, they could face harsh consequences, the RBI states that it, “May proceed against defaulting the bank”. India has emerged as an ideal destination for on-line traders, the nation of 1.2 billion people has over 25 million registered DEMAT (share dealing) accounts, and is home to a flurry of financial trading exchanges. Several brokers offer solutions for Indian customers either through a direct Indian specific domain, or with local language websites. That’s serious. I thought the CFTC was bad. What is india rbi afraid of? RBI should just disband because of their incompetence. FX trading is a legitimate financial activity by all measures.